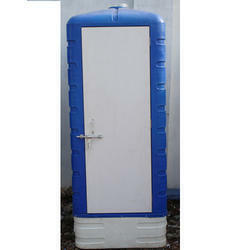 Our range of products include Portable Toilet & Chemical Portable Toilets. The entire range is sourced from reputed vendors who employ genuine components and advanced machinery to fabricated as per the international quality standards. Ours is an illustrious organization engaged in manufacturing, supplying, wholesaling, trading and retailing Portable Toilet. Manufactured using superior-grade material, the offered range can easily be fitted with septic tanks. Furthermore, we ensure timely delivery of the range at our customers doorsteps.